At Naperville Christian Academy, we know how important it is that our students sit under godly women and men, Christians who are equipped to model for children what it looks like to live a life following Christ. NCA is blessed to have such a qualified, intelligent, caring group of men and women teaching here and building lasting and impactful mentorships with their students. Sumi Arun teaches Preschool as well as the afternoon session of the full day Kindergarten program. 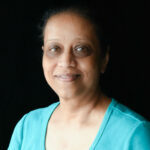 Ms. Sumi completed her Montessori training from the MECA Seton Montessori Insitute in 1992 and is AMS certified. She has over 20 years of teaching experience in Montessori schools working with children ages 2 to 6 years. Prior to joining NCA, Sumi began to integrate classical methods into her Montessori class as she prepared Kindergarten students for NCA. Ms. Sumi lives with her daughter and family in Naperville. She attends the Compass Church and is active in the Adult Bible Study Ministry. 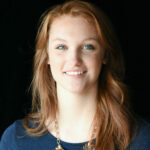 Katie Gallagher is our Preschool aide and supervises Preschool aftercare. Mrs Gallagher and her husband have two children, both of whom attend NCA. Jill Duvall is our Kindergarten teacher. Mrs. Duvall earned her BS from Wheaton College and her MAT from National Louis University. Mrs. Duvall Joined the staff of NCA in 2013. 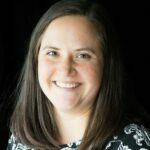 Previously, she was the area coordinator and an active volunteer at Christian Youth Theatre (now Spotlight) and worked with the youth at Wheaton Bible Church and Harvest Bible Chapel. Mrs. Duvall is the mother of 2 daughters, a one of whom also teaches at a classical school, and is a proud new grandmother. Kristen Sheehan teaches the 1st grade class and joined the NCA faculty in 2018. 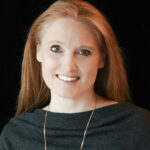 She graduated from Elmhurst College with a Bachelor’s Degree in Elementary Education. Mrs. Sheehan and her husband, Kevin, have two daughters; the eldest attends NCA. She and her family attend Church of the Resurrection in Wheaton. Mrs. Sheehan enjoys creative projects and spending time outdoors with her family. Lauren DeJong teaches the 2nd grade class and joined the NCA faculty in 2015. Mrs. DeJong graduated from Grove City College with a Bachelor’s Degree in Early Elementary Education. She became passionate about the classical education movement after a practicum at a classical school in her sophomore year. Lauren is also a certified tennis professional. She and her husband, Nick, attend Bethel Orthodox Presbyterian Church in Wheaton. Victoria Kleven is native to Pella, Iowa, and a graduate of Hillsdale College where she earned a Bachelor’s degree in History. At Hillsdale, she greatly enjoyed her concentrations in French and Classical Education which inspired her to spend a semester student teaching at a classical, Christian school. Miss Kleven enjoys seeking out the deep connection between faith and learning, and is excited to teach at an institution that puts this mindset at the center of its curriculum and daily activities. In her free time, she enjoys reading, running, and spending time with friends and family. Carrie Wentworth teaches 4th grade and joined the NCA faculty in 2016. Originally from New Hampshire, Miss Wentworth comes to us from Bandung, Indonesia where she taught English as a foreign language for the past ten years to elementary, middle school, and university students. She was also active in her church membership, helping with the worship team and discipleship of university students. Before going overseas, Miss Wentworth taught for seven years at a classical Christian school in Virginia. 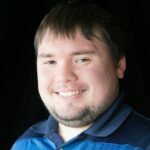 Jake Roop teaches 5th grade and joined the NCA faculty in 2016. Mr. Roop is a graduate of Wheaton College where he majored in Elementary Education. He is passionate about playing and coaching sports and loves to be active outdoors. Mr. Roop and his wife have a baby girl and attend First Baptist Church in Wheaton. Margie Patterson teaches Latin and joined the NCA faculty in 2016. She graduated from Wheaton College with a double major in Ancient Languages and Business/Economics. She has experience teaching and tutoring in classical Latin. Mrs. Patterson attends Harvest Bible Chapel in Rolling Meadows. Aaron Harrison teaches Upper School Bible, Greek, and Logic classes. He joined the NCA faculty in 2017. Mr. Harrison holds a BA in Philosophy from Taylor University and an M.Div from Duke Divinity School. He is a priest in the Anglican Church and attends Church of the Resurrection in Wheaton with his wife, Whitney. His academic interests focus on biblical theology, philosophy, cultural studies, the arts, and Christian spirituality. 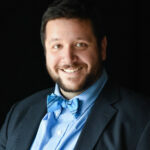 Scott Hermann teaches Upper School Humanities and Math classes and joined the NCA faculty in 2008. Mr. Hermann has Bachelor’s Degrees in History and International Relations from Wheaton College and recently completed a Master of Arts in Teaching from Wheaton College. 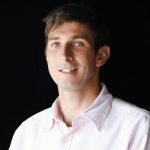 Josh Jacobs teaches Upper School Science and Math. He graduated from Wheaton College with a B.S. in Biology. 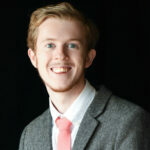 He came to Naperville Christian Academy in 2010 after working and researching in the field of biology for 2 years at the University of Illinois at Chicago and the Morton Arboretum. He has a deep love for the beauty of the creation and a passion for worship, evangelism, and prayer. He has worked in camps and done evangelism and training with Young Life and Youth With a Mission. Mr. Jacobs lives in Wheaton and attends Church of the Resurrection. 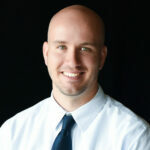 Adam Mearse is our Chaplain and College Counselor. He teaches P.E. and Logic School Bible. He also serves as NCA’s Athletics Director. Adam holds a B.S. in Family Studies and Bible from Oklahoma Christian University. He earned an M.A in Family Ministry from Oklahoma Christian and an M.A. in Counseling Ministries from Wheaton College. He also holds a Ph.D. in Education from Trinity Evangelical Divinity School. 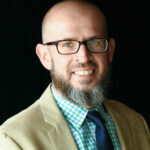 Mr. Mearse served as co-pastor at the Naperville Church of Christ from 2006-2018. He is married to Christina Mearse, NCA’s Accountant. They have three children, all of whom are NCA students. Stevie Melter teaches Rhetoric School Humanities. He is the first NCA graduate to return to teach at high school alma mater. Mr. Melter has a BS from Taylor University in Social Studies Education with concentrations in History, Political Science, Economics, and Psychology, and with a minor in Political Science. He is currently completing his MED in Curriculum and Instruction with a Christian Education concentration at Regent University. Jacob Vahle teaches Upper School Humanities and joined the NCA faculty in 2017. Mr. Vahle is a graduate of Wheaton College where he majored in History and Secondary Education. He is an avid reader, long-distance runner, and adventurous camper. Mr. Vahle and his wife live in Wheaton and attend Jericho Road Church. Dorie Ytterberg teaches Upper School Math. Mrs. Ytterberg joined NCA’s faculty in 2010, having already been a regular substitute with us. She earned her B.A. in Math from DePauw University and her M.A. in Math Education from DePaul University in Chicago. Mrs. Ytterberg and her husband have 4 children and live in Naperville. 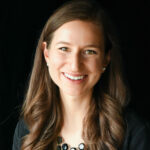 Mrs. Ytterberg has been active at their church, Naperville Presbyterian, where she has run children’s bible studies, hosted small group, and worked with the youth choir. Melissa Anderson, our music director, began teaching at NCA in 2013 with over 30 years of music training in harp, voice, piano and theater. She studied at the Tanglewood Institute in Lenox, MA and received her Bachelor of Music Degree from Boston University. She has performed with numerous orchestras including the Harvard Radcliffe Orchestra, Boston Civic Symphony, Virginia Symphony and Chicago Classical Symphony. She has been a guest soloist at the Crystal Cathedral in California, the Fringe festival in Edinburgh, Scotland and numerous other venues. She was the harpist at the Drake Hotel in Chicago for 6 years and has spent the last 15 years freelancing and teaching in the Chicago area while raising her 3 children, all of whom attend NCA. Janice Wood is our Art teacher. Mrs. Wood has a Bachelor’s Degree in Advertising Design and Illustration from the Art Center College of Design. With over 25 years of experience as an illustrator, designer, and fine artist, she has illustrated numerous children’s books, magazines, and educational products, and has taught art at the College of DuPage. 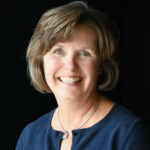 Mrs. Wood joined Naperville Christian Academy in 2009. Click here to view her artwork on her personal website.